1. It's not Fall until there's a wreath on your front door! 2. We switched the runner and flowers on the dining room table. Until we added another room back in 2006 we didnt have a dining room. I'm actually kind of glad we have it. so we can make it feel warm and home-like during the fall/Christmas months. 3. Hands down my favorite Fall meal. Autumn pork roast. Fresh veggies and apples with the taste/warmness of the pork...way too good. If you are lucky I might share the recipe next week. I'm doing the before and after picture because the after cooking picture doesn't show the true colorfulness of it. 4. Benefit of living near the farm? 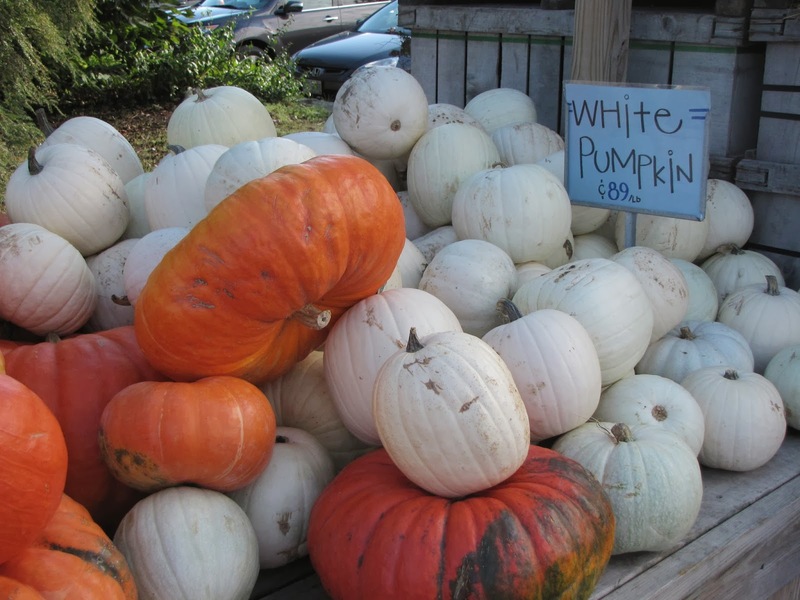 Tons of pumpkins and other Fall activities!!! The white pumpkins were so cool! 5. Although I didn't do barely any, I finally got out my overly organized wedding planner. I couldn't have found one better! 1st- that autumn pork roast looks amazing! I'd love to try that recipe! 2nd- awesome wedding planner book! where'd you get that?! I had to make my own binder! I still have my summer wreath up. 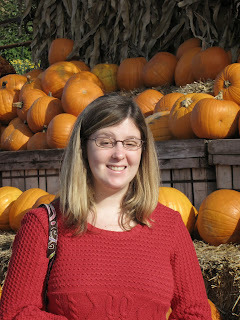 I need to get busy and get a fall one made because you are right, fall is most definitely here! I just tried to make an autumn pork roast. I put my roast in the crock pot with water (next time I'm thinking apple cider though!) Then when it had a good start, I added sweet potatoes, squash, and apples with brown sugar and cinnamon! So good! Thanks for the inspiration!! !